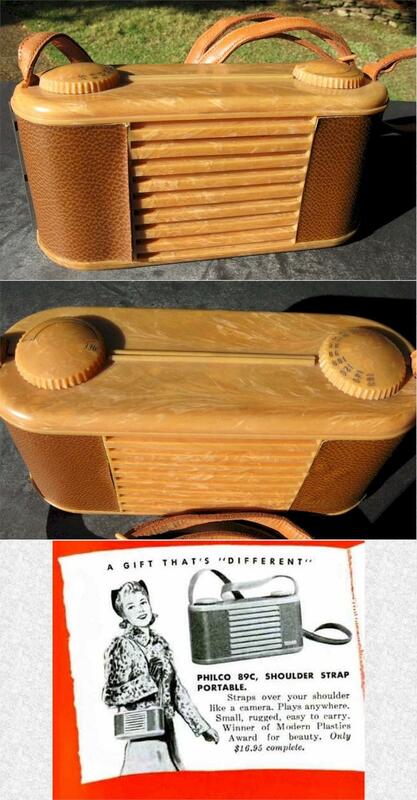 An almost perfect example of this pre-War Philco portable for Philco collectors or any collection. Introduced in June/1940 for the 1941 model year. The case is made out of Catalin-like Tenite, and the plastic in this set is perfect, no cracks or warps. The leatherette covering is also in excellent shape. The antenna is housed in the carrying strap. 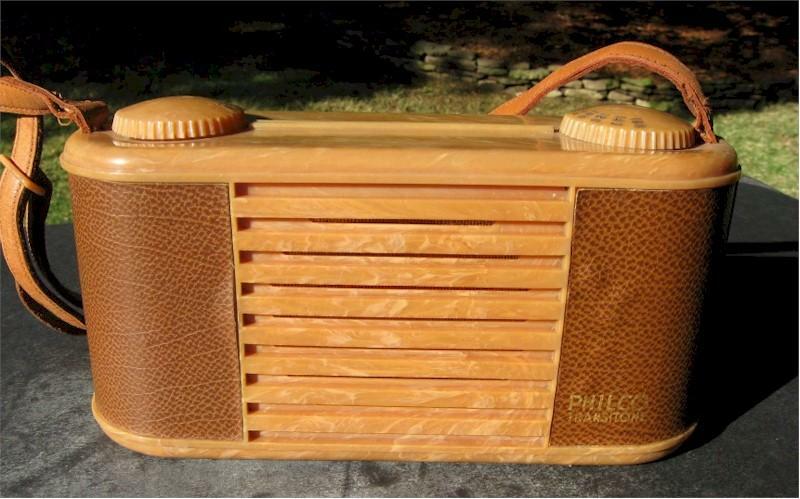 Most of these radios are missing the strap, but this one still has it, and it is in very nice condition. It is all original and sold in 1941 for $15. The set is a battery set, and is untested, as I don't have the batteries. I don't see anything that would prevent it from working and playing.